"Original and innovative photography is an essential ingredient to the marketing process. As a Marketing Director, I want to hear my retailers and customers refer to 'stunning and brilliant imagery' associated with my brands. Over the years this creative team have produced stunning room sets, breathtaking location and product photography for me. I never settle for second best and I know imagination when I see it. I would have no hesitation in recommending Ikon Photography to fellow marketers. Remember, you only have one opportunity for a first impression!" Ikon Industrial Photography is a group of like minded industrial photographers with an experienced pre and post production team. 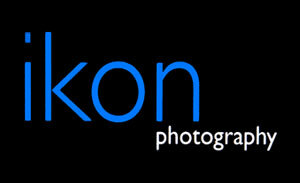 At Ikon, photography is our passion. From initial enquiry you will have direct contact with the industrial photographer and team that will be creating your image. Ikon specialises in industrial studio and location photography. Our studio 4000ft sq drive in studio allows us to handle projects ranging from big products on our 20 foot curved background, to small products on a table top. Ikon is conveniently located close to Stockport town centre, the rail and motorway networks, with HGV access. Our size is our success, we are not as difficult to get hold of as an under resourced one man band. On the other hand we are not so large that you only deal with account handlers losing sight of the final image. A photograph speaks a thousand words, strong creative photography is an essential ingredient in effective sales and marketing communications. Ikon excels at producing powerful visual images for all your advertising and promotional needs. We lead you through the process evaluating your requirements, enabling us to assign your specific project to a specialist photographer. This Process ensures that every image realises its full potential.